Don’t look now, but there is a new Caucus in the state!! 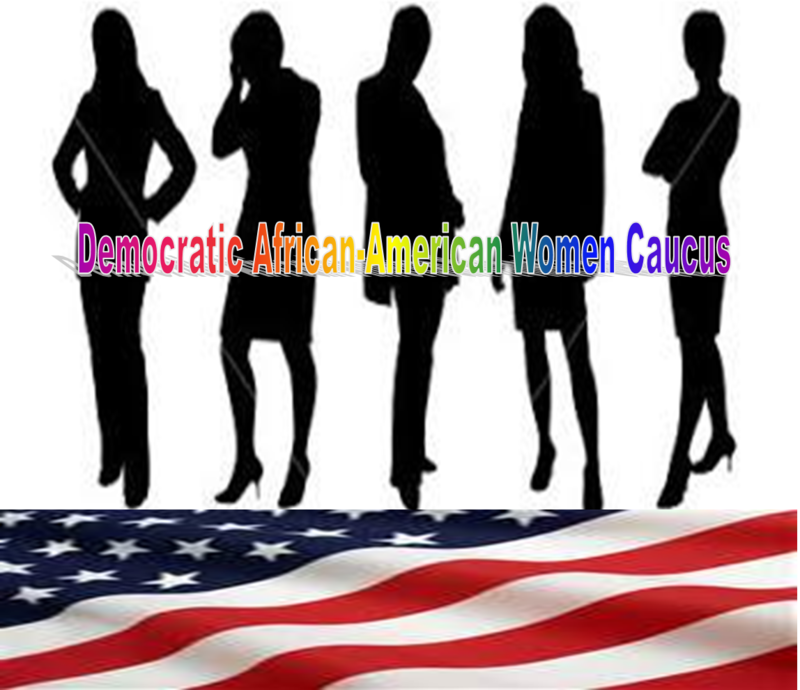 Florida’s Democratic African-American Women’s Caucus, DAAWC for short, is on the move! I don’t think anyone who is well-versed in politics will deny the impact Black Women have had, and will continue to have, on election outcomes. Just ask Terry McAuliffe over in Virginia. He wouldn’t be there if not for the strength of African-American Women voters. Pay close attention. You are going to be able to insert a lot of names where McAuliffe’s name is, because this growing group of Democratic voters are, indeed, a force to be reckoned with. This month, August 2014, marks the beginning of the DAAWC in Florida. The reception for the Caucus not only from African-American Women, but from other groups as well, has been tremendous! It is a Caucus that was long overdue. Yes, Florida has a Black Caucus. Yes Florida has a Women’s Caucus. And now, Florida has an African-American Women’s Caucus. African-American Women have issues that are unique to them. They have issues within issues, if you will. Take for instance Gender inequality. We hear all the time how women make less money than men. It isn’t until you peel that onion back, that you find out that Black Women make even less than White Women. Sometimes significantly less. Given the fact that ever since the beginning of our experience in America, Black women lead all women in labor force participation rates, the fact that we are paid less is an issue within an issue. Even as mothers of small children, Black women are overwhelmingly likely to work. Now let’s take a peek at racial issues. These are more often than not seen through the lens of Black Men. We see so many instances of racial inequality affecting Black Men in the news. But did you know that Black women are especially likely to be a victim of violence in America? In fact, no woman is more likely to be murdered in America today than a Black woman. No woman is more likely to be raped than a Black Woman. And no woman is more likely to be beaten, either by a stranger or by someone she loves and trusts, than a Black Woman. When Black girls go missing, sometimes it gets no media coverage whatsoever. It was comforting to see the coverage the Relisha Rudd case received, although it has died down, without ever finding that poor child. Again, Black Women have issues within issues, and now they are taking the lead role in speaking up, and speaking out, for themselves here in Florida. Black Women have stepped up their game over the years, to include education, business, and voting, but that hasn’t translated into political power. Black women make up the most dynamic segment of the Rising American Electorate. In the past two Presidential elections, Black women led all demographic groups in voter turnout. And even without President Obama on the ballot, in the recent pivotal Virginia gubernatorial election, Black women once again exceeded all other groups in turning out on Election Day. As such, Black women were a key factor in turning Virginia Blue heading into the 2014 mid-term elections. Of the 102 female members of the 113th Congress, 15.7 percent (16) are African American. Of the 1,787 women who serve in a state legislature today, only 242 of them are black. We have to work on that. Please don’t just take my word for it. There is a wonderful study that I took time to read, and I’m hoping that the rest of you will too. It’s called Black Women In The United States and it should be a must-read for anyone supportive of African-American Women. The DAAWC is hoping to continue to work side-by-side with other Caucuses, and The Florida Democratic Party, however it is time we took our hard fought for, earned, seat at that table to discuss issues and concerns that are specific to us. This organization is long overdue because African-American Women have always been the backbone of the Democratic Party. Fannie Lou Hamer started it and we need to continue it. This organization will help do that. While the DAAWC completes the the process, you can keep up with what is going on via the Group’s new Facebook Group and Facebook Official Page. The website is coming very soon! Stay tuned, you’ll be hearing and seeing so much more from this wonderful group of women!